One of Aichi’s classic boss cards returns as a G Unit! 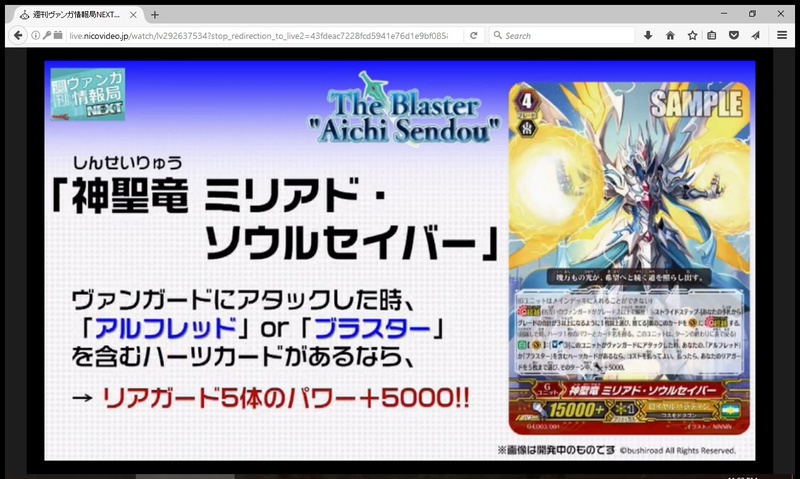 AUTO (VC): [Soul Blast 3 Cards] When this card attacks the Vanguard, if you have an “Alfred” or “Blaster” Heart Card, you can pay the cost. If you pay it, choose up to 5 of your Rear-guards, during that turn, they gain Power+5000.